Last time I told you about the newest developments treating skin cancers. Well I want to share with you some information I received from Pharmacist Jim Spanopoulos on a new cream called My Girls™ Cream, which protects the skin during radiation. I've found some good reviews on this cream. So let's check out what Jim has to say. Fagen Pharmacy recommends a radiation cream to control skin breakdown and manage pain. Free samples available at local treatment centers and hospitals. Breast cancer patients may suffer from radiation burns as the skin can become delicate and compromised with repeated treatments. Studies, such as the recent evidence-based study on topical agents conducted by the Oncology Nursing Society in 2011, are leading more radiation oncology physicians and nurses to recommend the use of calendula to protect the skin after radiation therapy. The U.S. Homeopathic Pharmacopeia also documents the helpful benefits of calendula with burns, eczema, acne and skin irritations. 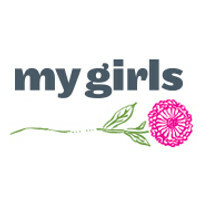 My Girls™ Cream, compounded from 10 percent calendula, rosemary and other natural oils, has become known for reducing inflammation and skin irritations. Theresa Keresztes, a breast cancer survivor and founder of My Girls™ Cream, discovered the cream in Hungary and later developed it for cancer survivors after undergoing radiation for breast cancer at Massachusetts General Hospital in 2008. "I knew about the natural anti-inflammatory benefits of calendula and rosemary after visiting the Georgette Klinger Madison Avenue salon — their approach and ingredients later inspired My Girls Cream, which calmed and protected my skin from radiation burns, often a side effect of radiation therapy," commented Keresztes. Fagen Pharmacy is pleased to be the first retailer in Indiana and Illinois to stock this unique cream for patients receiving radiation therapy. Pharmacist Jim Spanopoulos said, "We learned about My Girls Cream from our customers and referring clinicians, and knew we had to stock it to meet our patient’s needs." Well Warriors, we can never have too much information. I want to give a special thanks to Jim Spanopoulos for updating us on something that may make our cancer treatments a little more bearable. I know there is a lot more information out there. So please email your stories and information to cancerkickin@aol.com and check out my website at www.cancerkickinwarriors.com. Also check with your doctors, pharmacists and radiologists for any information they have on new developments.